description: Set in wild and beautiful mountains, the 4 charming villas of terra Villas are the perfect place to relax and get away from it all! Great care has been take to ensure that each Villa does not impact on the privacy of other guests. Set in beautiful and wild mountain gardens overlooking the Lycian coast, Terra Villas is a place to explore the surrounding area rich with wildlife and birds. A great place to spend in the summer or the winter for those wanting to see a different Turkey! The Villas enjoy a fantastically isolated location hidden deep n the forest overlooking the spectacular bay of Gokova. Although seemingly remote, they are ideally situated for exploring the delights of the local environs and the stunning Lycian Coast. The pretty town of Akyaka with its 'Ula Mugla' style of architecture, renowned river restaurants, sandy town beach and the lovely pebble beach at Cinar is only a 12 minute drive from the villas. The villas are centrally placed to provide access to Marmaris, Bozburun and Datça peninsula as well as to Dalyan and Fethiye,Muğla and the local resort of Akyaka with its famous fish restaurants. Ula with its very interesting architecture of Ottomans and Greeks is also in reachable distance. Pamukkale, Ephesus, Aphrodisias, Caunos and Cnidos and their spectacular archeological sights can be visited in a day. There are many local markets in which to haggle and enjoy local produce and culture, as well as meeting the colourful people. All this is available but you do have to tear yourself away from this stunning location as you might just be tempted to laze and read a book! We have always worked with the people from the Ataköy village. They helped us to reconstruct the houses, pools and open places. The sort of tourism we aim to promote here is the authentic values of Turkey beside sun and sea. We have lunches in the village houses serving only Turkish cuisine to our guests and daily village tours. For 2 years we have been recycling in our litter with different coloured bins.The recycled litter (tin cans, paper) is collected by one village family, a contribution to their budget. 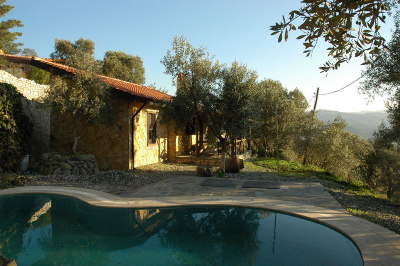 Villa guests are welcome to collect mullberries in May, figs in September and organic vegetables from the garden. Environmental issues are also very important in Turkey. For years we have been cleaning the streets of the village just to show Ataköy-we do care. We distributed bags to school children and with the teachers we designed campaigns of litter collection from the streets. The Bus stop on the highway and all the traffic signs in the village have been done by us and so many signs about environment have been placed around. We have worked with the local people to make Ataköy a better place for all. 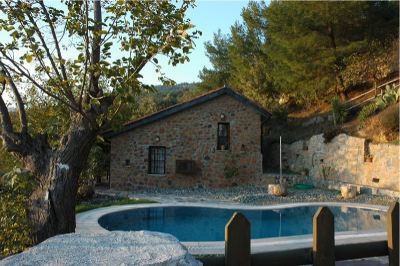 property description: There are four individually designed stone built houses, set in pine woodland on a hill above the small village of Ataköy, not far from the ancient settlement of Idyma-now Gökova village Peace and tranquility are assured for our guests, apart from the occasional visit from silver foxes, badgers, red squirrels, tortoises, wild boars, crickets and birdlife. 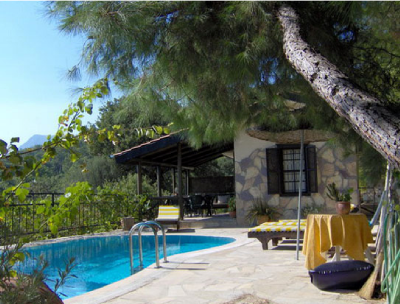 Each villa has its own pool for the summer use and private access and parking. They are also equipped with a washing machine, dishwasher, satellite TV, DVD, radio and CD player. safe, open fire places, air conditioning/heating and hot water. The villas are named Terra Incognita (The Unknown land), Terra Nova( The new one), Terra Ultima (The last one), Terra Punto (The final spot of the philosophy) .While constructing the villas, the original flora setting was not at all disturbed but respected. The villas are nestled in between trees, each one having a different interior and exterior. All villas are facing to Gökova bay from different angles and Ataköy lies below. Terra Incognita is an individually designed stone house. It is probably the most private of the villas and has a stunning terrace overlooking Gökova bay. There is an open plan lounge/kitchen with mezzanine bedroom, shower room/wc and separate twin bedroom. It is furnished with traditional local objects. Terra Punto is a picturesque one bedroomed, surprisingly spacious villa. 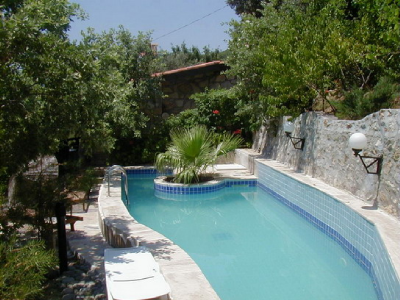 It has a large pool and terrace with stunning views of Gökova bay through the olive grove. There is a rustic charm in abundance. It has an open plan lounge, kitchen area, shower room and WC. Terra Ultima is the largest of the villas, possessing the largest terrace and pool and has views over Gökova bay. 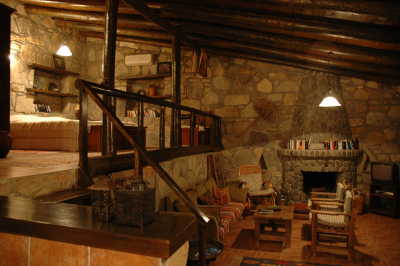 It is extremely rustic with one twin and one double bedroom, a separate utility room, open plan lounge and shower room/WC It is a cosy, secluded, hillside villa. Terra Nova provides total privacy, with panoramic views over Gökova bay. There is an open plan lounge, two separate bedrooms, shower room and wc and dressing room, all with individual rustic features. location: Ataköy is centrally located. Within easy reach of Marmaris, Ula, Muğla, Köyceğiz, Dalyan(Caunos), Ortaca, Fethiye and Akyaka. Besides these; Bozburun Peninsula, Datça Peninsula (Cnidos), Bodrum, Stratonikea and even Aprodisias can be visited within a day. The nearest airport is Dalaman, about 45 minutes away. Car hire is recommended. pricing details: This amount covers the rent of the villa on the reserved days, cleaning and linen change( Once in 3 days), litter collection and power consumption. A welcome hamper will be provided for each villa. Reservation will be confirmed upon the reciept of 50% of the whole amount. The rest will be requested on the arrival. Transportation, transfers to and from airport and car rentals require an additional payment.